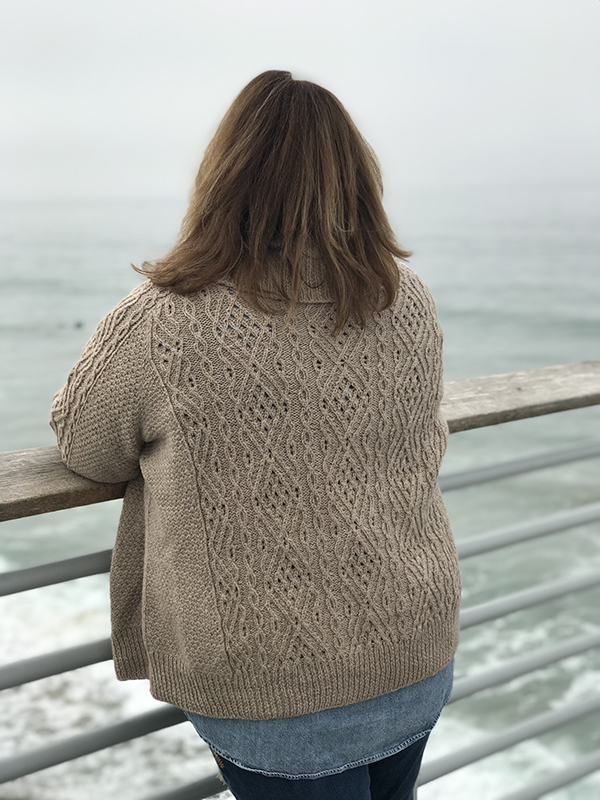 The last pattern of the Beachwalk Knits collection, the Bolinas Cardigan, is now live! The sample is done in Kelbourne Woolens Scout, a really nice workhorse wool yarn. This gorgeously cabled, oversized cardi is sure to keep you warm on chilly days or evenings! 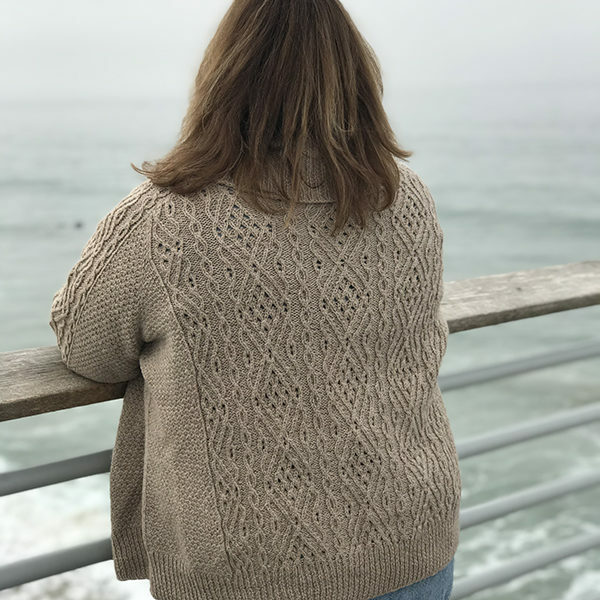 The sweater is knit from the top down, with stitches picked up from the shoulder straps, fronts and back joined at the armholes, and the garment continued in one piece. 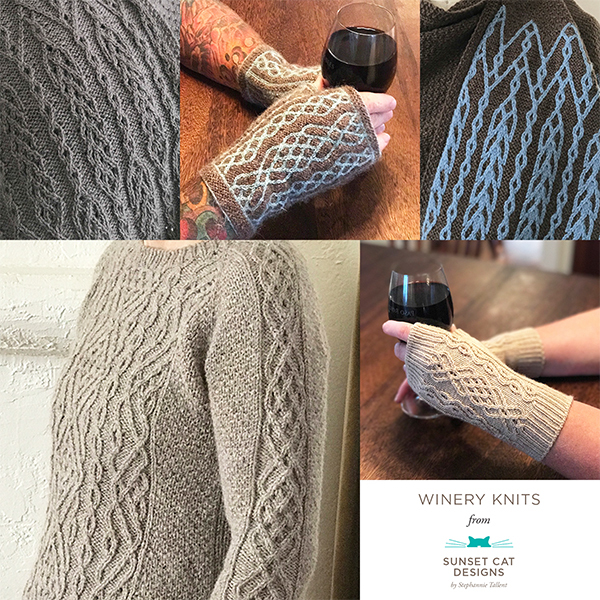 The sleeves are worked by picking up stitches along the armhole, working short rows for the cap shaping, then continuing in the round. See schematic for full measurements. Kelbourne Woolens Scout, 100% wool (274 yds / 250 m per 100 g), est 5 (6, 6, 7, 8, 9, 9) skeins approx 1293 (1380, 1516, 1706, 1923, 2224, 2345) yds / 1182 (1262, 1386, 1560, 1758, 2034, 2144) m, shown in Oatmeal. See pattern notes regarding yardage.